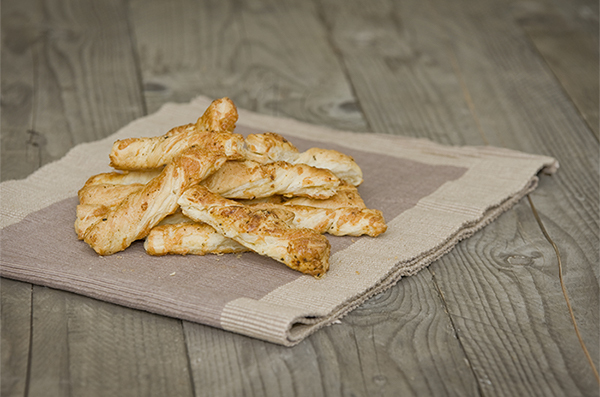 These crunchy cheese straws are the easiest snack in the book, made from ingredients you’re sure to have on hand in the freezer and fridge. Perfect for serving with our no nut pesto dip at parties or when unexpected guests drop around. Cut the pastry sheet into 10 equal strips (approx. 2 cm wide). Brush pastry with egg. Mix cheese and paprika together and sprinkle over each strip. Twist pastry strips and place on the greased metal tray in lower shelf position. Cook on 200 °C for 10 to 11 minutes or until golden.